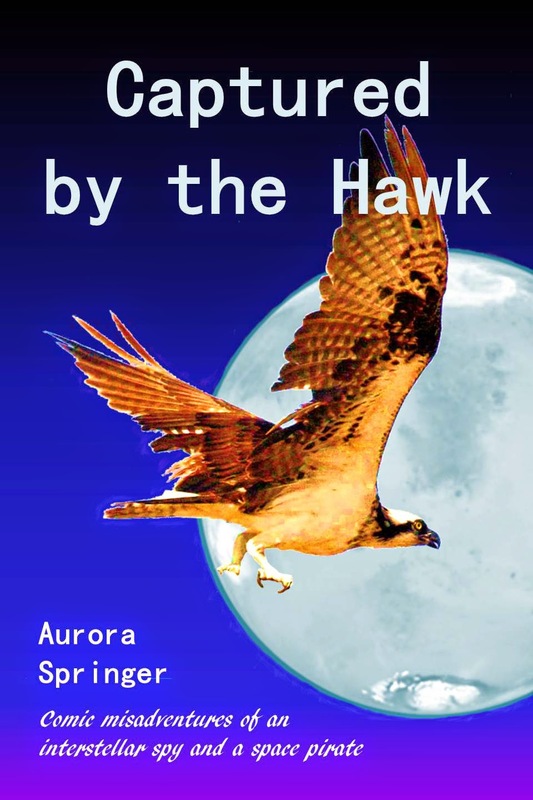 Captured by the Hawk is a Space Operetta. Fast, furious, fun and full of cliches! 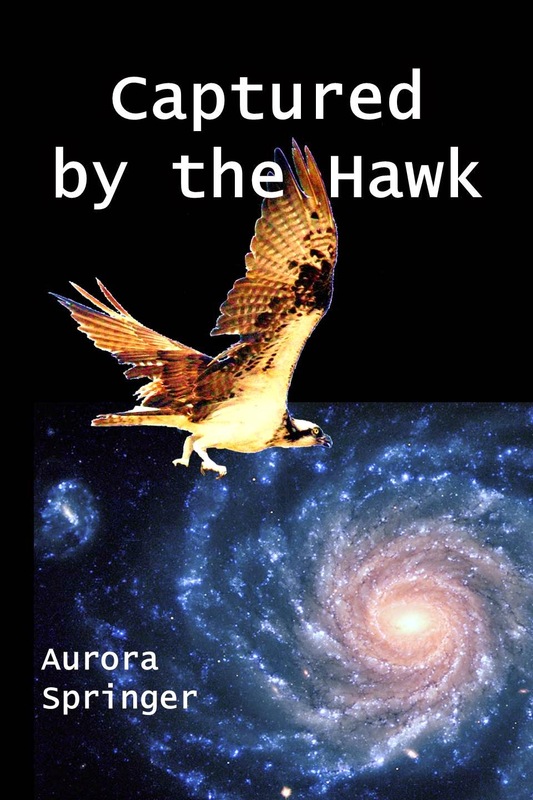 Follow the misadventures of interstellar spy Grey Kat when she is kidnapped by Black Hawk, renegade captain of the Rogue Star. No, the galaxy definitely does not work! Black and mysterious, which is appropriate for Black Hawk, the hero. But, it is a Space Operetta, with fun and romance. 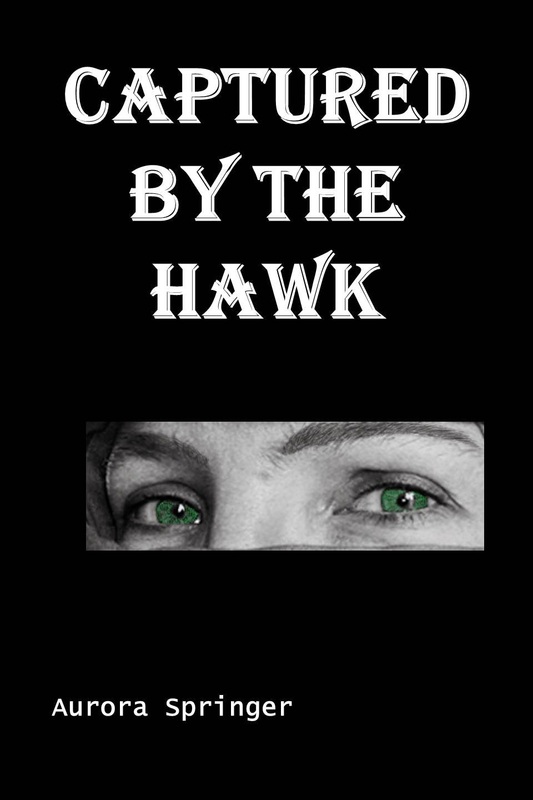 So, the cover needs brighter colors. 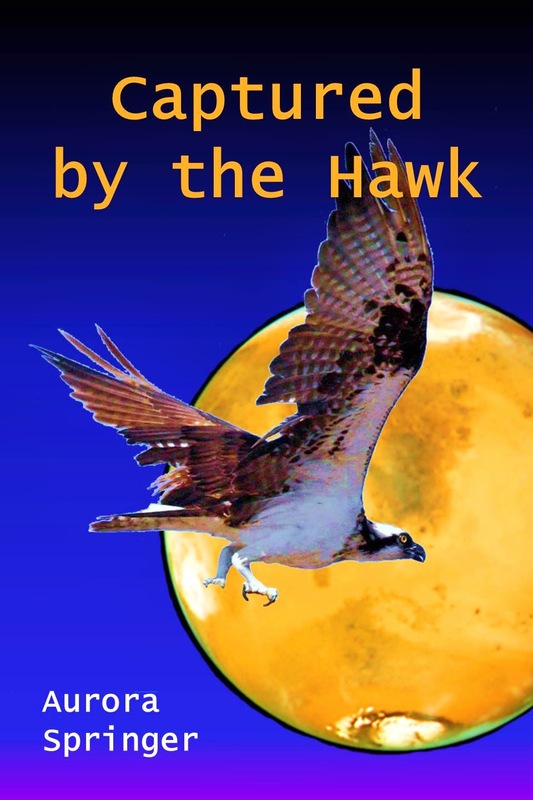 The blue and orange work well, but the hawk is less conspicuous. Also, an orange planet might be confused with our harvest moon. I used this cover for the paper book. 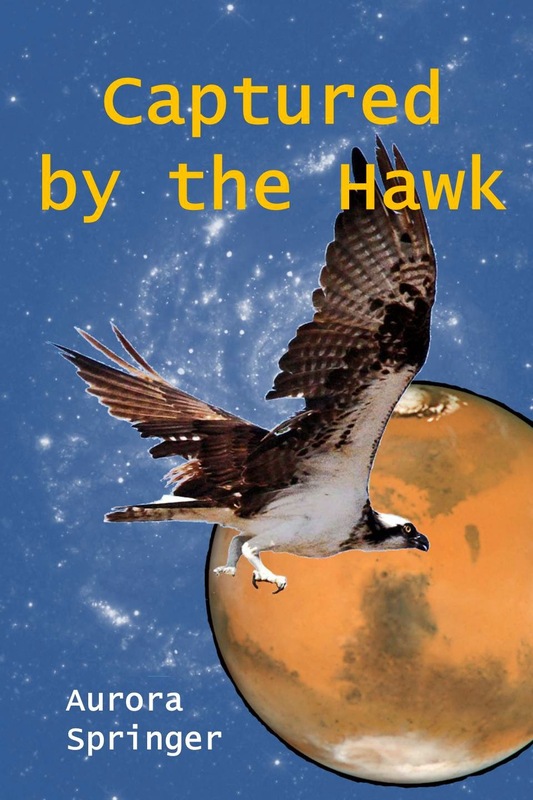 We have a blue planet, which looks more spacey, and the hawk in orange-brown is more prominent.